Bratwurst! It’s a sign of summer: the tender lank meat laid gently on the hot grill, the smell of nitrates and singed intestinal casings, the hiss of the fat striking the fire, the clouds of smoke when one brat bursts and dumps a cup of grease, engulfing the entire array in an inferno that turns each salty, spicy treat into a dry, charred log. It was brat night, so I turned on the grill and got out the brats I’d bought at the store the day before. Freshly made in my neighborhood. No soulless frozen corporate brats for me, man. I opened the pack. The brats smelled like Satan had cut one in a Roman sewer. Within ten seconds the entire kitchen smelled like a shanty-town gutter. I wrapped them up and went back to the grocery store. "These smell right to you?" I asked the butcher. He reared back in alarm, and you could read his face: those brats ain’t right. He checked the expiration date: two days from today. Concern, as you might expect, crossed his features. We went to the meat cooler – which maybe wasn’t, now that I think about it – to see if they had any others from this batch. They didn’t. They’d been released into the wild, all of them. Well, they’d make it up to me: here, have your choice of some other brats! "Actually," I said, "I think the family’s off brats for the night." "No, take them, freeze them, and I’ll give you your money back." Well, fine. I took another pack and we returned to the meat counter. He drew a walkie-talkie from his holster, called a manager, and said he had a 384 back in the meat department. A manager came over. It wasn’t the manager I know. The butcher explained the situation; the manager looked at the brats I had in my hand: $3.80. “So you want four cents,” he said. The manager nodded and we walked to the front of the store and he gave me the money without a word and walked away without eye contact, as if this was somehow my fault. Note to self: next time, eat brats and throw up on their floor. Jeez. Then to Subway, where I would get the emergency backup supper. Everyone loves Subway, after all. I don’t go there often, because you always get a beat-down from the employees. I don’t know what it is about Subway that produces such weary surlyness; probably the waiting, the waiting, the waiting for people to make up their minds about what shredded crap they want on their sliced crap. Everyone takes forever and they always say the same thing. Lettuce, onions, tomatoes. I try to know what I want before the process begins, so I don’t anger them too much. Soon it was my turn; the burly, blank-faced clerk in hipster-specs behind the counter grunted “what do you want,” fully expecting me to say “uh, I’ll have a sub, the chicken, no the chicken ranch,” after which he would have to ask, for the gazillionth time, whether I wanted a six inch or a footlong, and after that, what kind of bread I wanted. Jeez. See? That provides the relevant information in the order he needs it. Because the first thing he needs to know is the variety of bread, and then the size. I noted the toasting so the next sandwich artist – it’s always a two-person job, making a sub – wouldn’t start the difficult matter of adding the extras. Ain’t I a peach? A regular pip? I did the same thing with the other two, and I swear it made him more displeased, as if I’d taken away something precious from him. Maybe it’s me; I’m sure it’s me. I always feel ordering at Subway is a test, and the sandwich artists are giving me Fs, and their disappointment has curdled to anger. After we’d gotten laying the foundation for the three sandwiches, I was handed off to another employee, this one female, tall, rectangular, and given to worrying one of her many lip-piercings with her tongue. Same drill: I gave specific instructions in a clear, confident voice. She bagged them and handed me my change, and I chirped “thank you!” Because it’s been such a joy. Jeez. Then I found a bum in the gutter and kicked him for not being happy about being a bum in the greatest gutter system on God’s green Earth! Yes, it’s Unself-reflective Judgment Day at the Bleat! Just one muttered word to communicate gratitude at the successful completion of a rote exchange, that’s all I ask. Unless I missed something, I’m giving them money, right? Otherwise, an ordinary day. The tornado sirens went off around two, due to possible tornadic activity in the northwest suburbs. To think of all the years we spent without knowing the adjective form of Tornado. As a good Minnesotan, the sound of the alarms sent me right to WCCO radio, known as the station to which we all turn when weather happens. But they were playing ads. This is not unusual, as the station is notorious for managing to fit a few minutes of content in between the giant blocks of ads, but jeez: weather is all they have, really. That’s their niche. Stop making money and tell me what I want to know for free! Once home I turned on the TV, and there was a great angry low-res JPEG moving over the land. The center of the storm was black and white, which the weatherperson said was very, very rare. I didn’t know that: the end of the Doppler Spectrum is apparently black and white. You see that, you jump down the well, because you’re about to get hail the size of Volkswagen Beetles. I wondered if Gnat was scared; she hates the sirens, and lives in sensible fear that a twister will scribble disorder over her neat and sensible life. Well, I’d find out. After a few minutes I went to the school for the Spanish class presentation – the kids sing Spanish songs, perform Spanish skits, reclaim the south half of the classroom from the Moorish language kids, etc. Very charming. And that was the day, more or less. Except for a couple of pieces I wrote this afternoon. Global warming, the Iraq war, economic woes, fears of terrorism -- and now, just when it appeared things couldn't get any worse, astronomers predict the sun -- and Earth along with it -- will be hurled into deep space when our galaxy collides with a neighboring galaxy. The galactic collision won't happen for a few billion years, but when it does, the entire solar system will be expelled from its current place in the bright galactic "suburbs" into the galactic boondocks, where there will be far fewer stars to guide sailors and to inspire the romantic. Never again will the night skies be as pretty as they are now. Using their computer model, Cox and Loeb forecast that after the collision about 2 billion years from now, the Milky Way and Andromeda galaxies will be pulled together by gravity and blend into a single, spherical super galaxy -- "Milkomeda," as Cox and Loeb call it. I mention this only because it reminded me of something that’s annoyed me all my life, even more than attitude of Sandwich Artists: the name of our galaxy. “Andromeda” is a cool name. It is a sci-fi name. “Milky Way” sounds like the title of a 1930s Dairy Industry promotional pamphlet. I like “Sun” – “Sol” is better, but it’s still generic. Not as generic as “Earth,” which is utterly banal. If the aliens have universal translators, they’ll laugh when we say “We come from a planet known as Dirt. It orbits a Star we call Star.” Perhaps all cultures are like this though; maybe everyone calls their planet Dirt, and the eventual union of these intergalactic species will be the Dirtball Union, or the League of Orbiting Soil Clods. Imagine if some Italian astronomer had amed the galaxy “Carnival.” We’d feel different about this joint, and our place in it. For a minute or two once a year, anyway. But note how that article began: a litany of things about which we should worry. “Economic woes” is number three. Some people will never be happy. I mean, there are woes, and there are woes. I suppose that the perspective from a newspaper office isn’t great, but assuming that the economy is beset by Woes because one’s own industry resembles a sub with busted ballast tanks sliding down the side of the Marianas Trench isn’t exactly a fair evaluation of the Big Picture. Yes, I know: it’s rare you find such a keen grasp of the economics of commodities in a local paper, but there it is. It’s not a question of seasonal demand, or refinery capacity, or the springtime switch to different blends, or any of those things. They’re ripping us off! Price go up! Mongo angry! Mongo shake fist at Gas God! At least New York City has it figured out: according to the Wall Street Journal – staffed with people who understand good, sound business reasons, i.e. LIARS AND APOLOGISTS – Mayor Bloomberg has decreed that all taxis shall be hybrids by 2012. Well, if it’s one of these, fine. But I'd still prefer one of the old Marathons. Those were cabs. Everything else is just a yellow car. Back to work; see you tomorrow. 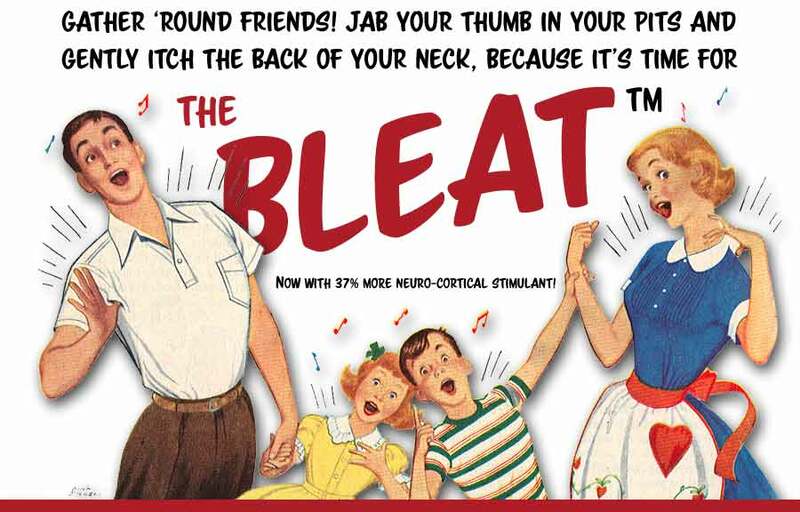 Oh, right: Bleat Radio Theater. 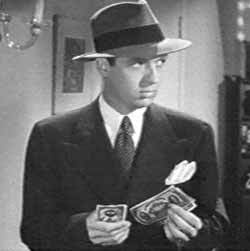 This time it’s Johnny Dollar, America’s fabulous free-lance insurance investigator. 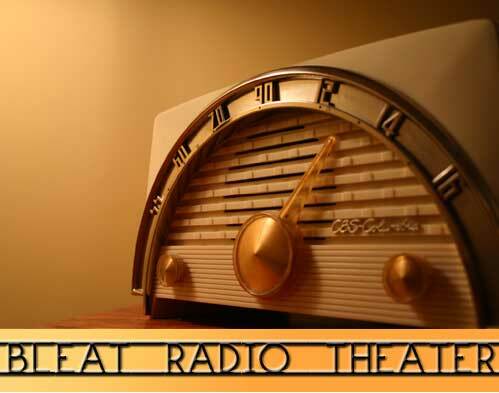 I never warmed to the series until I discovered the mid-50s run; for a few years it was a M-F serial, with fifteen-minute episodes each night. The format gave the show a chance to stretch out, and Bob Bailey hit all the right notes as the title character: brash, hard-boiled, rueful, romantic, sensible, smart. If you like this episode, the next four can be found here. Quick downloads. I chose this one almost at random, and it contains a staple of the 40s and 50s: the overly-polite and officious Latin policeman. It’s as good an introduction to the series as anything else. Enjoy, and I’ll see you tomorrow – with a big new Diner.